The National Thoroughbred Racing Association (NTRA) announced today that Tito’s Handmade Vodka has reached an agreement to serve as the Official Spirits Partner of the 43rd annual Eclipse Awards, presented by Daily Racing Form, Breeders’ Cup and The Stronach Group. The partnership will make Tito’s the exclusive vodka of all Eclipse Awards Week happenings, including the main event, the 43rd annual Eclipse Awards, to be held Saturday at Gulfstream Park Racing & Casino in Hallandale Beach, Fla.
Tito’s Handmade Vodka, an Austin-based company, is America’s original craft vodka, and one of the fastest growing micro distilleries in the country. The handcrafted spirit earned a unanimous Double Gold Medal at the San Francisco World Spirits Competition, and it was awarded a score of 95 by Wine Enthusiast for its impeccable purity and clean taste. Tito’s Handmade Vodka is the personal recipe of founder and master distiller, Tito Beveridge. Tickets to the Eclipse Awards are available for $400 each. Order forms for tickets are available at www.ntra.com. For additional information on tickets or accommodations, please contact Michele Ravencraft of the NTRA at mravencraft@ntra.com. The Eclipse Awards, presented by the Daily Racing Form, Breeders’ Cup and The Stronach Group, are bestowed upon horses and individuals whose outstanding achievements in North America have earned them the title of Champion in their respective categories. Awards also are given to recognize members of the media for outstanding coverage of Thoroughbred racing. Eclipse Awards voting is conducted by the National Turf Writers and Broadcasters (NTWAB), the National Thoroughbred Racing Association (NTRA) and Daily Racing Form. The Eclipse Awards ceremony is produced by the NTRA. 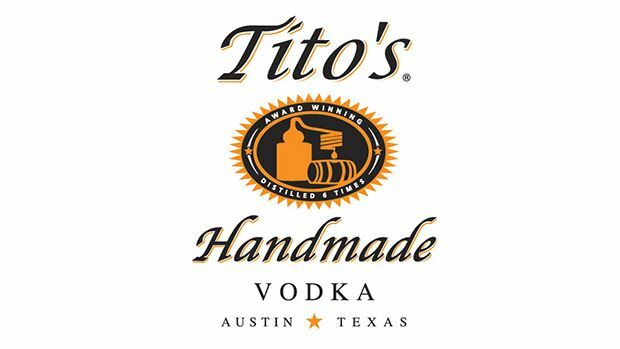 Tito’s Handmade Vodka is and always has been 100% American-made and produced in Austin, Texas. It was the state’s first and oldest legal distillery, and is one of the fastest-growing micro distilleries in the country. Tito’s Handmade Vodka continues to be a privately owned liquor brand developed by Tito Beveridge and can be found in all 50 states and in some Canadian provinces. The slow, six-times distilled vodka is called one of the smoothest vodkas on the market by the country’s top bartenders, and was awarded a score of 95 by Wine Enthusiast.